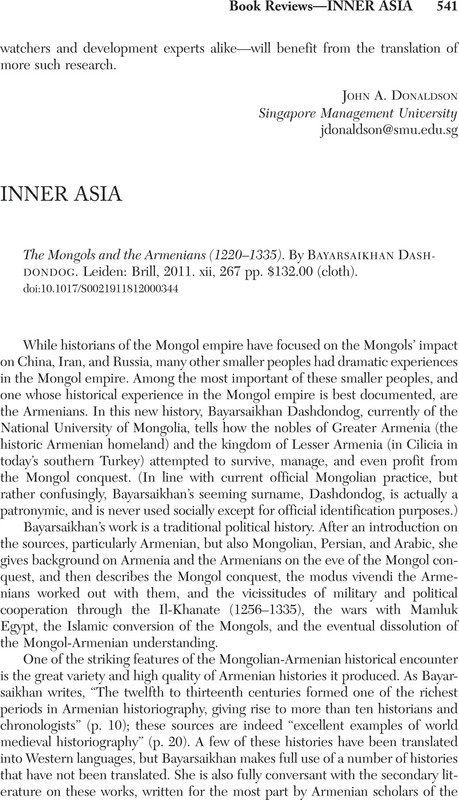 The Mongols and the Armenians (1220–1335). By Bayarsaikhan Dashdondog. Leiden: Brill, 2011. xii, 267 pp. $132.00 (cloth).